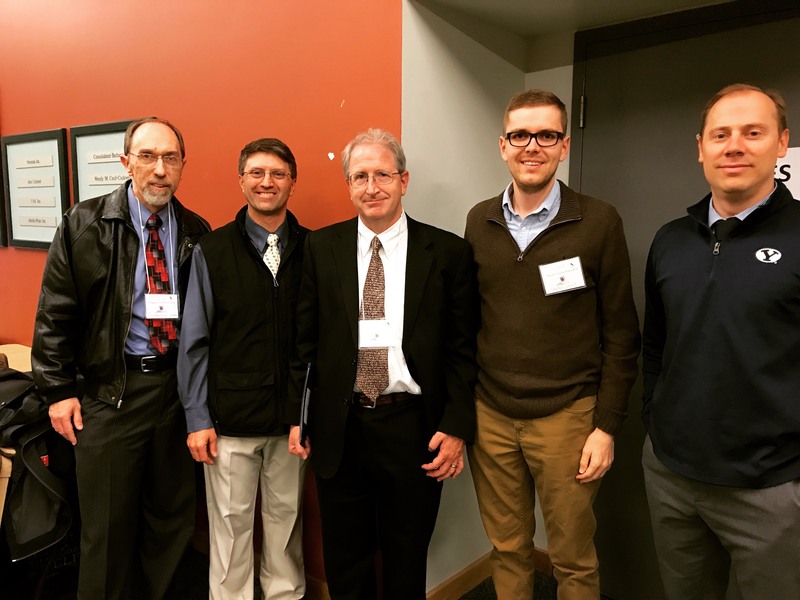 The Nile Scribes are pleased to host our first guest blogger, Stephen O. Smoot, to bring you the highlights of the SSEA’s 42nd Symposium Aegyptus: Egypt under Roman Rule. 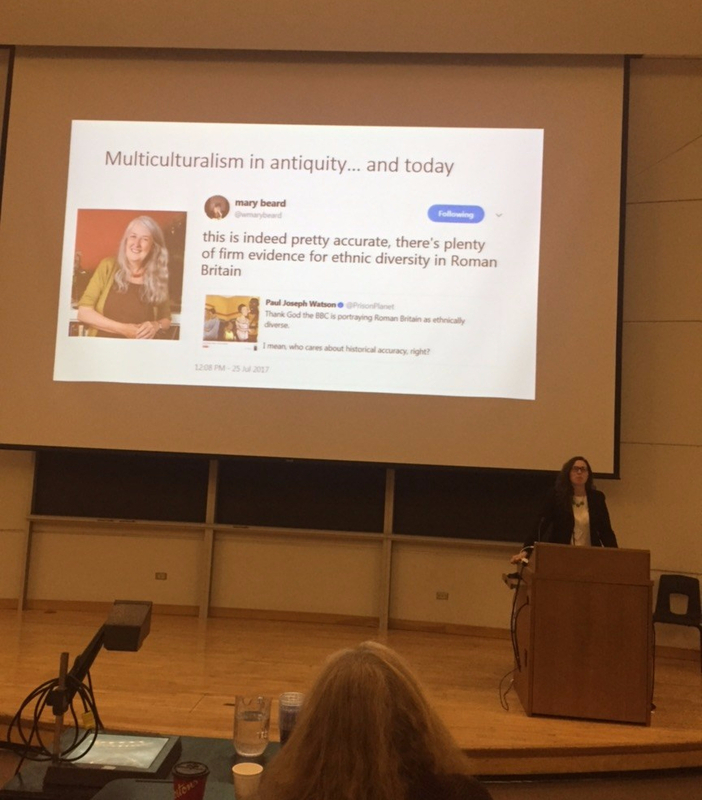 Last weekend was the annual conference of the Society for the Study of Egyptian Antiquities held at the University of Toronto. The topic of the conference was Roman Egypt. The decision to host a conference entirely on Roman Egypt was somewhat surprising but ultimately welcomed, since the Ptolemaic and Roman Egypt periods tend not to get as much attention as pharaonic Egypt (the Old, Middle, and New Kingdoms). The conference highlighted the number of different approaches scholars have taken across Egyptological disciplines (history, papyrology, archaeology, etc.) to shed light on Roman Egypt. 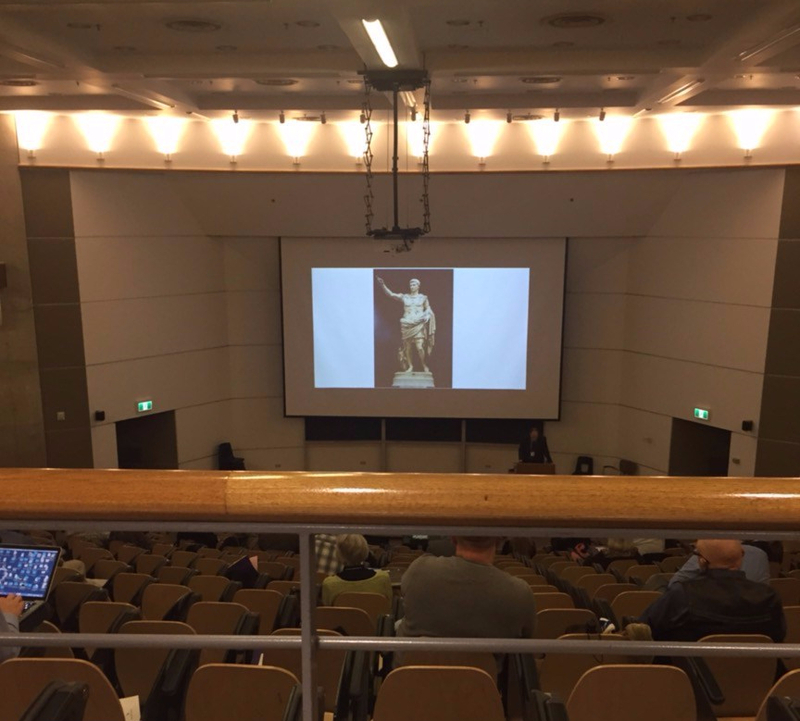 The presentations emphasized how studying Roman Egypt requires a broad point of view that must account for not just the native Egyptian material, but Greek and Roman material as well. For this blog post I will select just a few representative examples of the kinds of topics discussed at the conference. Two speakers, Nicola Barbagli of the Scuola Normale Superiore di Pisa and Gregory Dundas, Ph.D. in Ancient History from UCLA, for instance, discussed the role of kingship and government in Roman-occupied Egypt. Looking at the relationship between the imperial Roman administration and native Egyptian society must include a close examination of both Egyptian and Roman royal ideologies. Why, for example, was Augustus afforded the same epithets and attributes of older pharaohs? Or what is the significance of parallel iconography depicting the Egyptian pharaoh or the Roman emperor smiting his enemies and subduing chaos? What might this evidence say about the ideology of kingship during this time? According to Barbagli and Dundas, these and other questions are best answered by a careful comparative analysis of both the Egyptian and Roman sources. 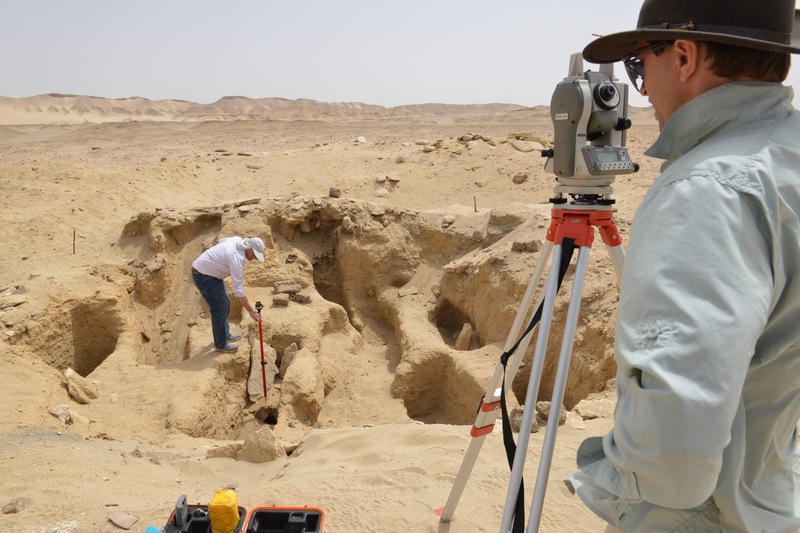 Another speaker, Emily Cole, a Visiting Assistant Professor at the Institute for the Study of the Ancient World at NYU, gave an overview of her archaeological work at the Greco-Roman town of Karanis in the northeast corner of the Fayum. Her work has added much to our understanding of Egyptian multiculturalism during the Roman Period. Of the names recovered in textual evidence at Karanis, for example, 40% are Egyptian, 50% are Greek or Macedonian, and 5% are Latin. Greek and Demotic papyri and ostraca have likewise been recovered at the site, which reaffirms the multi-lingual and thus multi-ethnic population of the town. Finally, three speakers from Brigham Young University–––John Gee, Lincoln Blumell, and Kerry Muhlestein–––gave presentations on the religious, literary, and burial culture of Roman Egypt. John Gee examined how the Roman government at times cracked down on Egyptian cults or temple priesthoods that were thought to contain subversive elements through taxation and other coercive means. This had sometimes drastic consequences for native Egyptian religion, such as a decline in the quality of the burial equipment (mummies, papyrus rolls, etc.). Lincoln Blumell, a papyrologist, focused his remarks on epistolary in Roman Egypt. Some 4,500 letters have been recovered from Roman Egypt that date to ca. 30 BCE–300 CE. 4,350 of them are written in Greek, 50 in Latin, and 100 in Demotic. Their contents include business and administrative affairs, personal letters, love notes, etc. Many letters shed light on both pagan Egyptian religion and later Christianity by discussing various religious offices, temples, deities, etc. Others offer insights into Egyptian society by revealing cultural practices and aspects of gender roles and identity (about 90% of the letters were written by men, but some letters written between women also exist). In short, studying epistolary provides a snapshot of daily life in ancient Egypt. Finally, Kerry Muhlestein, who leads the BYU Egypt Excavation Project, presented on his excavations at Fag el-Gamous in the Fayum. He focused specifically on burials at the site during the Roman Period. The sort of materials used in burials for coffins and mummy shrouds, the sort of grave goods, the embalming techniques, funerary papyri, and the like, all show evidence of both an attempt to continue earlier Egyptian mortuary practices and innovative new practices that appear to have arisen during the Roman Period. While the Egyptians at this time continued the long tradition of embalming their dead, for instance, the use of mummy portraits and the placing of the organs in wood boxes at the feet of the mummy as opposed to in stone canopic jars are two examples of innovation. These few examples should illustrate how the academic study of Roman Egypt is vibrant but also challenging. There is a lot of cultural, political, religious, and linguistic history to cover in such a short period, and the nature of the evidence requires specialized training to properly understand and utilize it in a scholarly synthesis. Not only do Egyptologists working on Roman Egypt have to know classical Egyptian hieroglyphs and hieratic, but they must also know Demotic, Greek, and Latin. They must understand native Egyptian and Hellenistic culture. And depending on if they wish to study Christianity and Judaism in Egypt, they must also know Coptic and Hebrew/Aramaic. But hopefully this will not frighten those interested in Roman Egypt or dissuade them from further study. As this conference proved, it’s an uphill battle to get a solid grasp on all of the relevant evidence, but the interweaving cultural and linguistic threads create a rich tapestry of peoples and customs in Roman Egypt that is well worth the effort. Stephen O. Smoot is currently a graduate student in the department of Near and Middle Eastern Civilizations at the University of Toronto. His academic focus is Egyptology with a special interest in Greco-Roman Egypt. He received his bachelor’s degree in Ancient Near Eastern Studies from Brigham Young University. Previous Post Scribal Spotlight: A Void in the Great Pyramid?